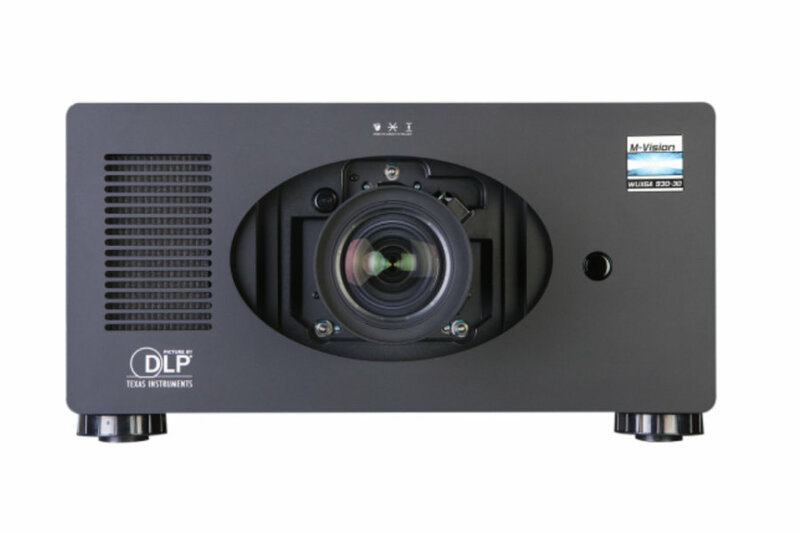 There is no brighter single chip DLP projector than Digital Projection’s M-Vision Cine 930. It brings budget-sensitive applications a large-screen imaging solution. Venues contending with ambient light, as well as applications needing a powerful yet budget-conscious large-format imagery solution, will directly benefit from the M-Vision 930’s ample light output. Enlisting dual 465W High Intensity Discharge lamps, the M-Vision 930 contains the illumination muscle to enliven even the brightest of rooms. 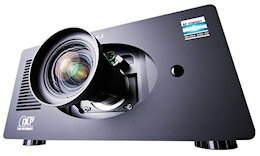 In professional venues such as auditoriums and Houses of Worship that regularly contend with high levels of ambient light, the M-Vision 930’s brightness ensures the audience will experience the message with the saturated colors, bright imagery, and dark area detail that you or your client intended. With accelerated contrast performance and active 3D capabilities with up to 144Hz refresh rate, the M-Vision 930 offers features normally associated with high-end 3-chip DLP systems at a single-chip price point. 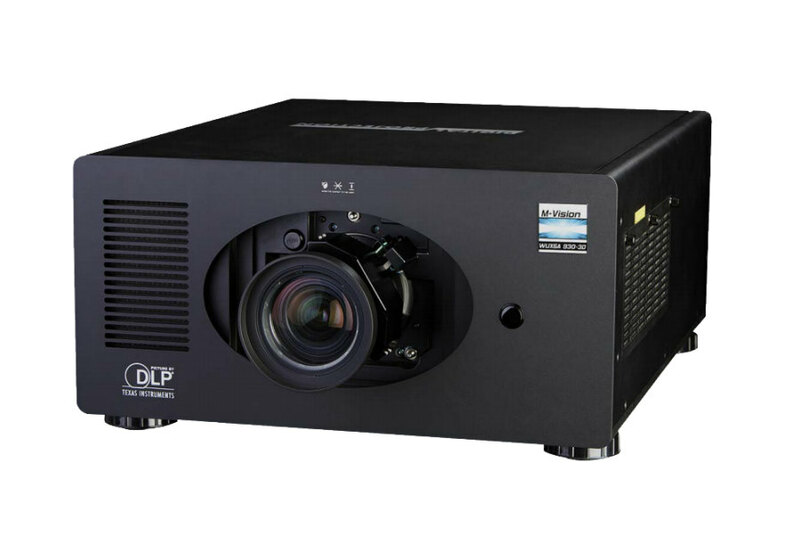 The incomparable brightness and 6-segment color wheel produce an image quality and brightness unrivaled in the single chip projector market. 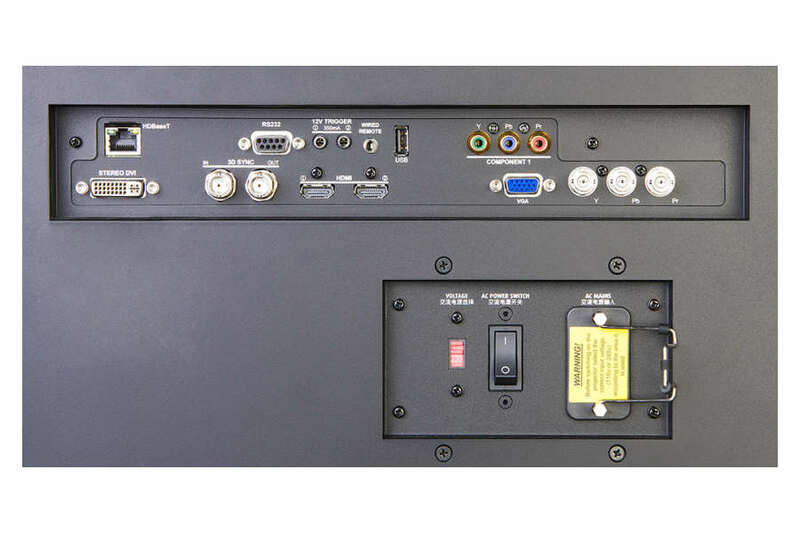 Dual HDMI 1.4, DVI inputs enable the latest high speed video delivery. 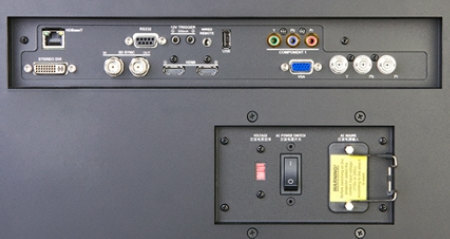 HDBaseT connectivity further augments the M-Vision 930’s input options, allowing for the transmission of uncompressed High Definition Video over a CAT5e/6 LAN cable. Imaging versatility is a key deliverable with the M-Vision WUXGA 930, with Edge Blend and Geometric Correction included as standard features. Impressive installation flexibility, by way of a complete suite of professional lenses offering throw ratios from 0.84:1 to 4.00:1, is yet another critical feature within the new display. The M-Vision 930 has built in support for transmission of uncompressed High Definition Video over standard CAT5e/6 LAN cable. This allows projector to be placed up to 80m from source with low cost cabling. Built in edge blending allows for correction for non-active pixels at the edge of the display. Lamps can blow, if you need your projector working and can't afford down time, you may need to keep a spare lamp. The replacement projector lamp for the Digital Projection mVision 930wud is the 114-318.